So what’s “advanced” about Advanced Photographix? Well, not only do we shoot breathtaking photos to start with, but we take great care to make sure every image we deliver is perfect. To do this we go over every shot with a fine-toothed comb, digitally eliminating dirt or unwanted elements, balancing each shot for color and lighting, straightening edges, sharpening and adding vibrancy. 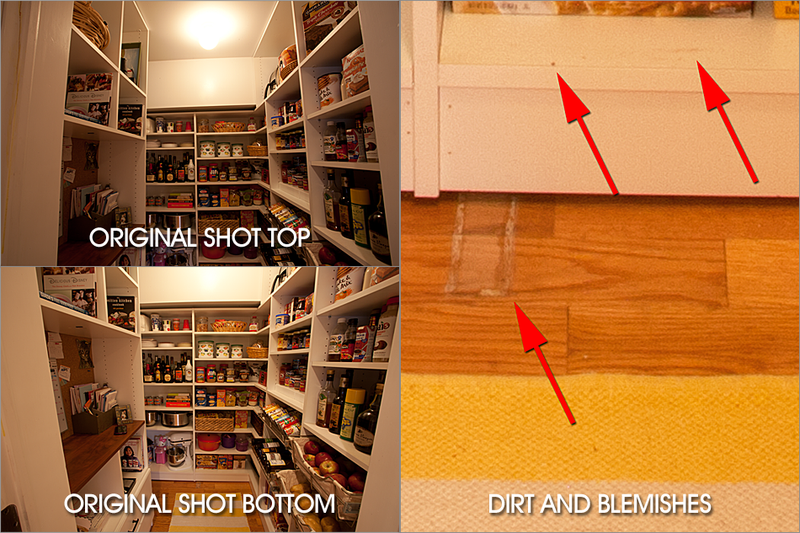 For example, the pantry below had stains and permanent marks on the floor and shelves that couldn’t be removed prior to shooting. We were also working in very close quarters and could not get far enough away from the subject to photograph the entire scene, so we needed to shoot multiple shots and stitch them together into a vertical panorama in the studio. And once the client saw the image she was unhappy with the look of the potato drawer, so we added an extra potato or two to make it more aesthetically pleasing. 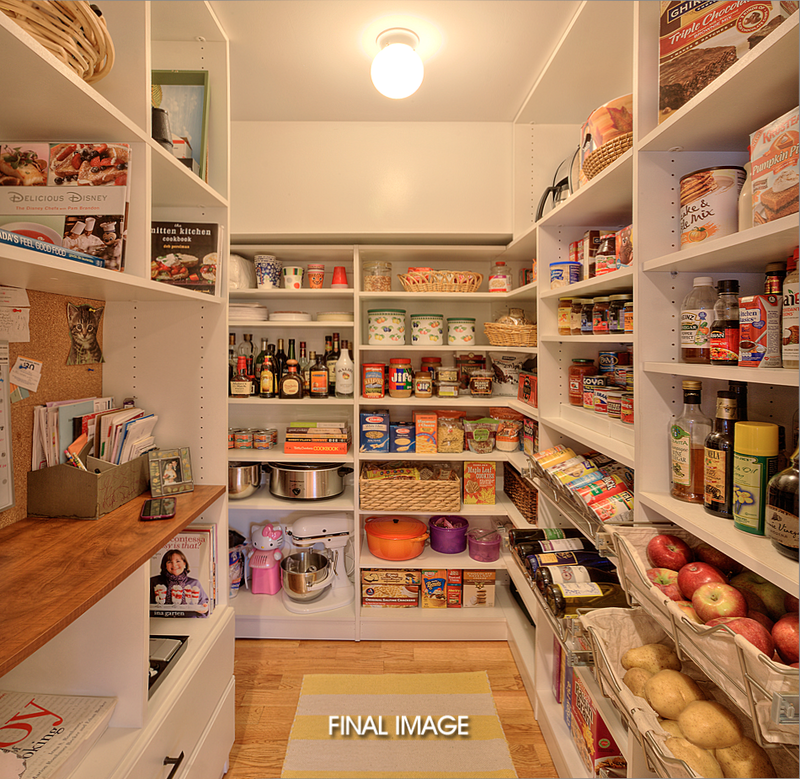 Additionally, in certain lighting situations there is no way to get all the details in both the shadows and highlights in a single exposure, so we can shoot multiple exposures as HDR (High Dynamic Range) photos and blend them together to get a single image with detail in both shadows and highlights. We’re also experts in “fixing” problems that can’t be avoided at the original shoot. This photo shoot was on a very tight schedule, and the sky was dark and stormy – not what the client wanted. We got the shots we needed and then replaced the dark sky with a blue sky in the studio…and that blue sky made the client’s blues disappear!